This data package, LAGOS-NE-LIMNO v1.087.1, contains in-situ measurements of lake water quality (i.e variables that are most commonly measured by state agencies and researchers for studying eutrophication) from the past three decades for approximately 2,600-12,000 lakes, depending on the variable. This module was created by harmonizing 87 water quality datasets from federal, state, tribal, and non-profit agencies, university researchers, and citizen scientists. The data package is 1 of 5 data packages associated with the LAGOS-NE database– the LAke multi-scaled GeOSpatial and temporal database (https://lagoslakes.org). Three of the data packages each contain different types of data for 51,101 lakes and reservoirs larger than 4 ha in 17 lake-rich U.S. states to support research on thousands of lakes. These three packages are: (1) LAGOS-NE-LOCUS v1.01: lake location and physical characteristics for all lakes. (2) LAGOS-NE-GEO v1.05: ecological context (i.e., the land use, geologic, climatic, and hydrologic setting of lakes) for all lakes. These geospatial data were created by processing national-scale and publicly-accessible datasets to quantify numerous metrics at multiple spatial resolutions. (3) LAGOS-NE-LIMNO v1.087.1: the lake water quality data described above. The other two data packages contain supporting data for the LAGOS-NE database: (4) LAGOS-NE-GIS v1.0: the GIS data layers for lakes, wetlands, and streams, as well as the spatial resolutions that were used to create the LAGOS-NE-GEO module. (5) LAGOS-NE-ORIGINAL LIMNO data packages: the original 87 datasets of lake water quality that were processed into the LAGOS-NE data format, the R code that converts the original data formats into LAGOS-NE data format, and the log file from this procedure to convert the dataset to be loaded into LAGOS-NE. 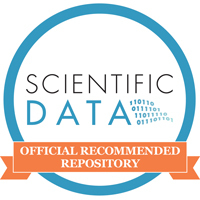 This latter data package supports the reproducibility of LAGOS-NE-LIMNO. A list of the LAGOS-NE-ORIGINAL LIMNO data packages, along with a link to their EDI repository landing pages, is included in the LAGOS-NE-LIMNO metadata provenance information. A blog post that describes all the different types of contributions necessary to create the database can be found here. Oliver, S.K., S.M. Collins, P.A. Soranno, T. Wagner, E.H. Stanley, J.R. Jones, C.A. Stow, N.R. Lottig. 2017. Unexpected stasis in a changing world: Lake nutrient and chlorophyll trends since 1990. Global Change Biology. doi:10.1111/gcb.13810. Soranno, P.A., E.G. Bissell, K.S. Cheruvelil, S.T. Christel, S.M. Collins, C.E. Fergus, C.T. Filstrup, J.F. Lapierre, N.R. Lottig, S.K. Oliver, C.E. Scott, N.J. Smith, S. Stopyak, S. Yuan, M.T. Bremigan, J.A. Downing, C. Gries, E.N. Henry, N.K. Skaff, E.H. Stanley, C.A. Stow, P.-N. Tan, T. Wagner, K.E. Webster. 2015. Building a multi-scaled geospatial temporal ecology database from disparate data sources: Fostering open science and data reuse. GigaScience 4:28 doi:10.1186/s13742-015-0067-4. Soranno P.A. , L.C. Bacon, M. Beauchene, K.E. Bednar, E.G. Bissell, C.K. Boudreau, M.G. Boyer, M.T. Bremigan, S.R. Carpenter, J.W. Carr, K.S. Cheruvelil, S.T. Christel, M. Claucherty, S.M. Collins, J.D. Conroy, J.A. Downing, J. Dukett, C.E. Fergus, C.T. Filstrup, C. Funk, M.J. Gonzalez, L.T. Green, C. Gries, J.D. Halfman, S.K. Hamilton, P.C. Hanson, E.N. Henry, E.M. Herron, C. Hockings, J.R. Jackson, K. Jacobson-Hedin, L.L. Janus, W.W. Jones, J.R. Jones, C.M. Keson, K.B.S. King, S.A. Kishbaugh, J.-F. Lapierre, B. Lathrop, J.A. Latimore, Y. Lee, N.R. Lottig, J.A. Lynch, L.J. Matthews, W.H. McDowell, K.E.B. Moore, B.P. Neff, S.J. Nelson, S.K. Oliver, M.L. Pace, D.C. Pierson, A.C. Poisson, A.I. Pollard, D.M. Post, P.O. Reyes, D.O. Rosenberry, K.M. Roy, L.G. Rudstam, O. Sarnelle, N.J. Schuldt, C.E. Scott, N.K. Skaff, N.J. Smith, N.R. Spinelli, J.J. Stachelek, E.H. Stanley, J.L. Stoddard, S.B. Stopyak, C.A. Stow, J.M. Tallant, P.-N. Tan, A.P. Thorpe, M.J. Vanni, T. Wagner, G. Watkins, Kathleen C. Weathers, Katherine E. Webster, J.D. White, M.K. Wilmes, S. Yuan; LAGOS-NE: A multi-scaled geospatial and temporal database of lake ecological context and water quality for thousands of U.S. lakes, GigaScience, gix101, doi.org/10.1186/s13742-015-0059-4. Soranno P. and K. Cheruvelil (2017). LAGOS-NE-LIMNO v1.087.1: A module for LAGOS-NE, a multi-scaled geospatial and temporal database of lake ecological context and water quality for thousands of U.S. Lakes: 1925-2013. Environmental Data Initiative. http://dx.doi.org/10.6073/pasta/56cc5f1f753d48edfea170a5401dd6df.